It is not a piece of news for you that education takes a lot of money. Money stands in between your dreams and the skills you need to learn. Many students struggle to finance their higher education. This struggle leads many students to drop out or not indulging in a program at all. However, your determination and strategy can help you educate yourself without feeling the lack of money. Sure, it will require hard work and some sacrifices, but you will receive the fruits of your compromises in future. A bright career opportunity deserves a few struggles as a student. 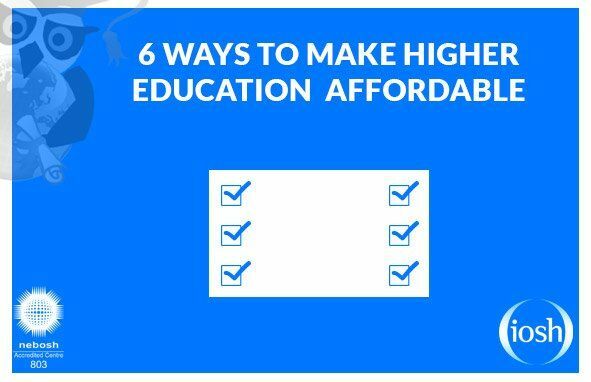 So, follow these six ways to make your higher education affordable. A loan or a debt is a temporary solution. Your life is a big picture, in which, you have to manage your financial status consistency. So, an education loan is not a free resource. It comes back as a debt, which you have to pay back. Always remember that when you are borrowing money to fund your education. A suitable idea would be to divide your loan into different sections. Borrow a small amount only for necessary components such as tuition. When you borrow a limited amount, it becomes logical to find other resources to finance your accommodation, books, and various similar requirements. You have to divide some time with a job, so that, you can support your financial condition and get money for regular expenses. With Jobapplicationcenter.Com, this job hunt can become more comfortable. If you are already working, try convincing your employer to help you with your higher education. Many employers happily invest in employee’s education if they see the potential. You have to present all the perks and benefits you can provide to the company with enhanced skills. It will help you show your case and win a chance to get complete financial support for your education. The next best thing would be to get a scholarship. However, it is essential to assess your achievements and skills before you start looking for scholarship choices. Stay aligned with your career goals and choose a scholarship that can help you achieve those goals. For every student, this should be a formula during the higher education program. Your part-time job will only help if you organize your expenses. Spend as less as possible on daily expenses. Find an affordable place to live. Share rent with others and save as much as possible. You don’t get left behind with a gap year. All it takes is a perfect plan of what you want to do with that time. Indulging in goal-oriented experiences can help you bag scholarships or jobs that assist in financing your higher education. There is nothing worse than finding yourself with limited resources when you want to study. However, it is your life. So, take control over your financial condition and find unique ways to serve your purpose.